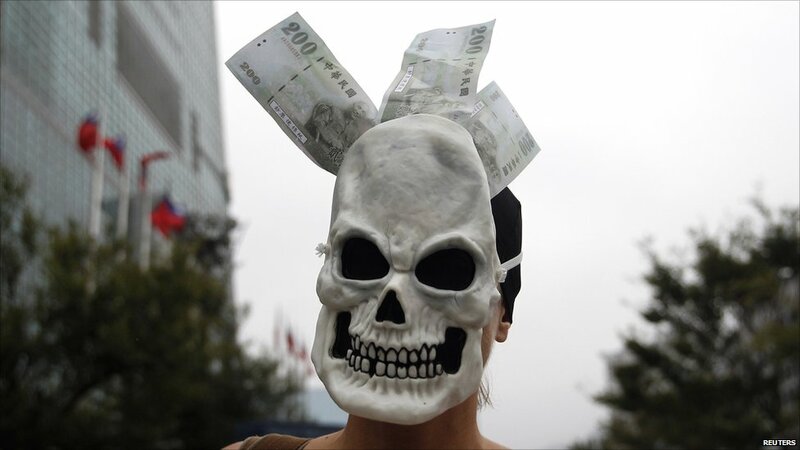 Inspired by the Occupy Wall Street protest camp in New York, thousands of protesters in cities across the world have taken to the streets in anger at corporate greed and government cutbacks. This protester turned out in Taipei. The biggest and most passionate protest of the afternoon was in Rome where tens of thousands of people converged on the Colosseum. 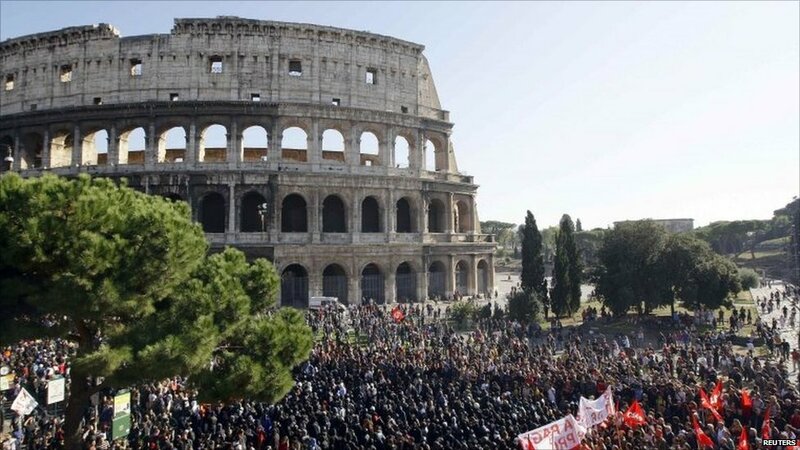 Masked militants among the protesters in Rome attacked property. 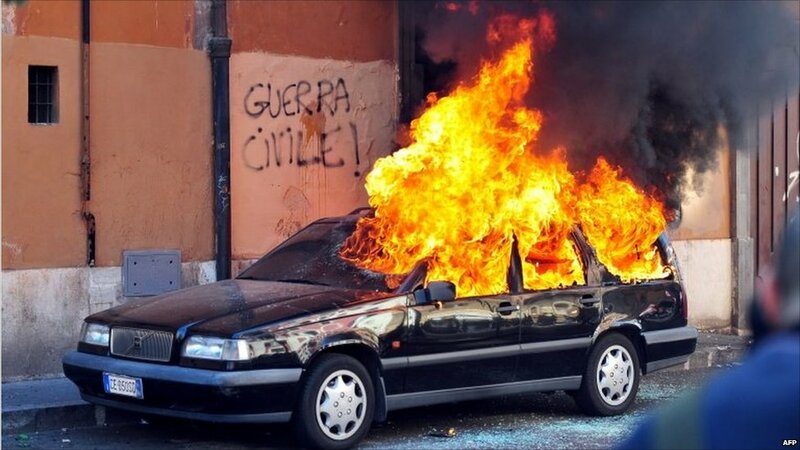 At least three cars were set alight in the Italian capital. 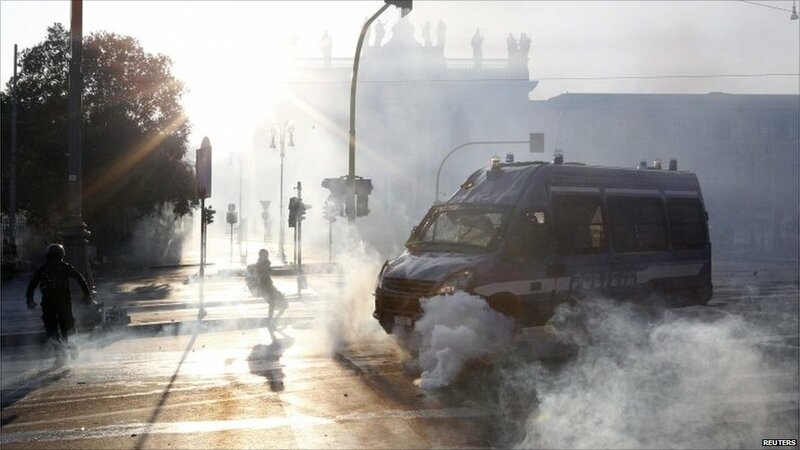 Italian police intervened and fought running battles with the militant protesters. Thousands of protesters also demonstrated outside the European Central Bank headquarters in Frankfurt, Germany. 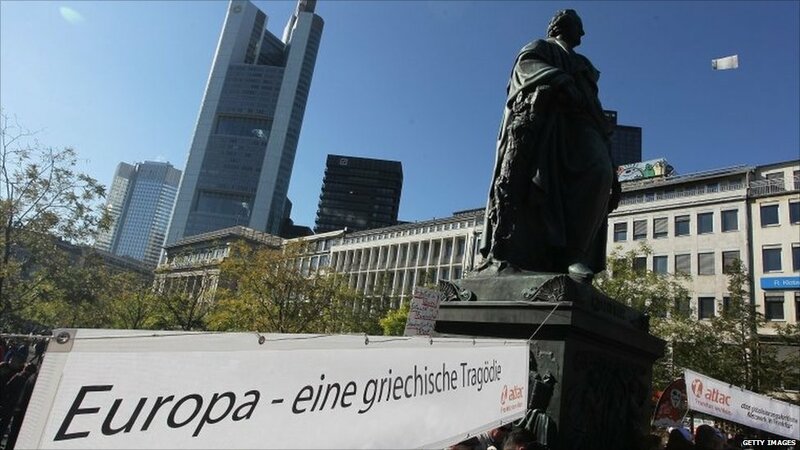 The banner reads "Europe - a Greek tragedy". 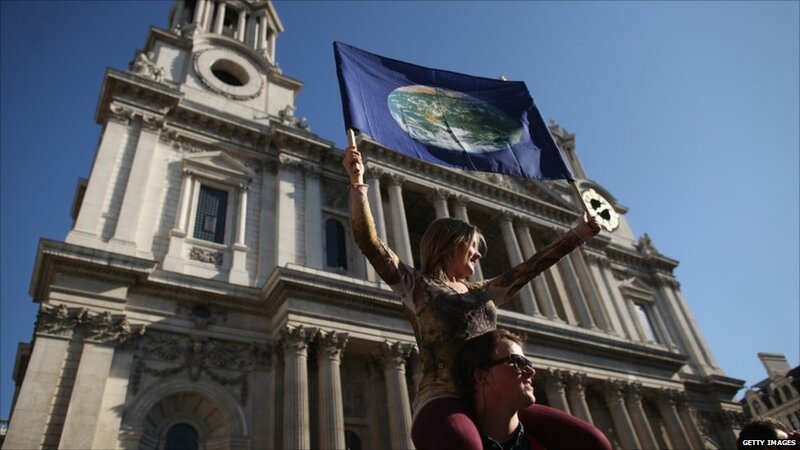 Hundreds of people attended an Occupy London protest outside St Paul's Cathedral in the City. Prad Patel was a bystander at the Occupy London protests. 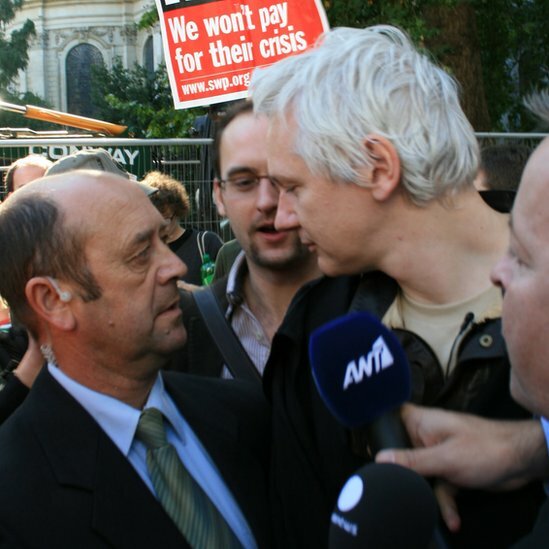 He snapped Wikileaks founder Julian Assange getting media attention in the UK capital. 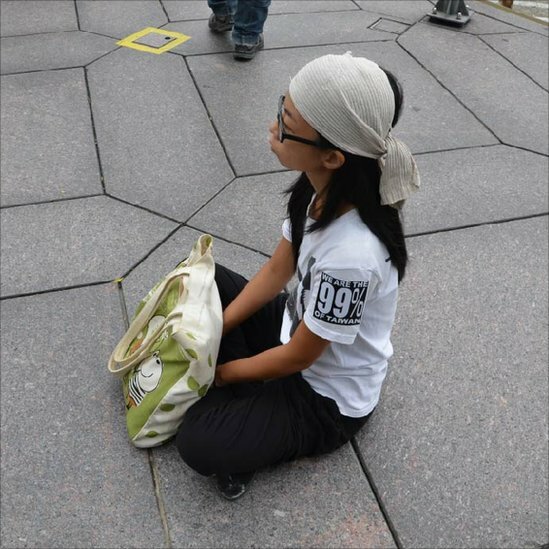 Another BBC News user who sent photos of protesters was Manting Huang in Taipei. "Young people can't find jobs or houses - I'm a student and I'm worried about the future," the reader said. 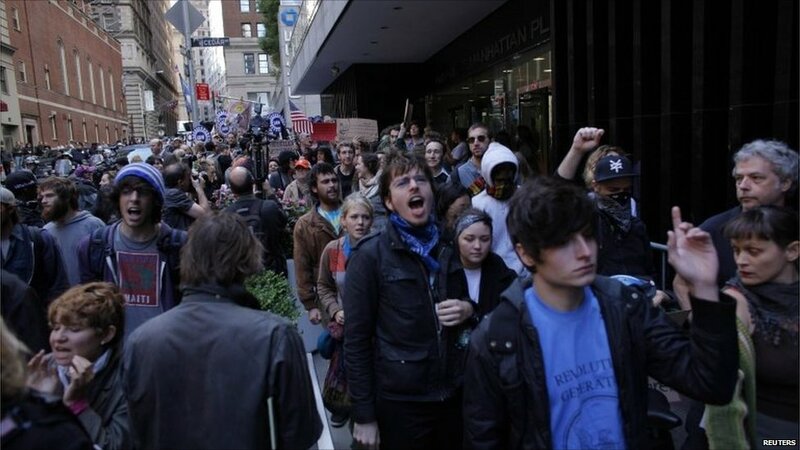 As evening fell in Europe, protesters were marching in New York, where the Occupy Wall Street movement was launched. 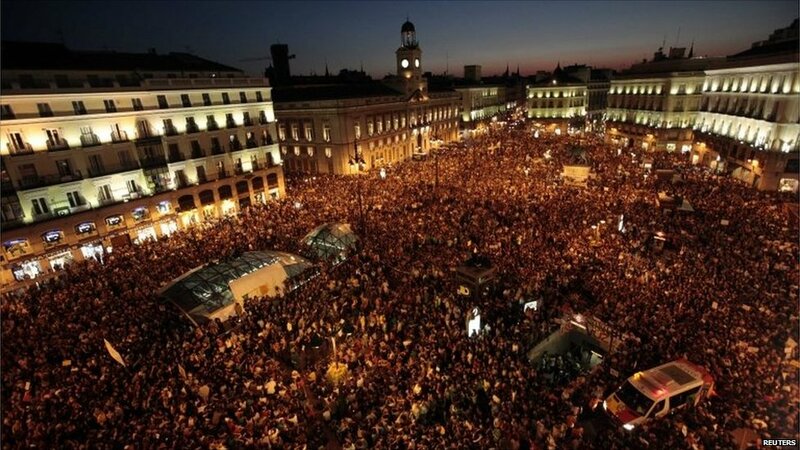 Madrid, home of the "Indignant" movement, saw a massive rally on its landmark Puerta del Sol Square. This couple were joking during an "Indignant" rally outside the Greek parliament in Athens. Greece, the eurozone state hit hardest by the downturn, also saw peaceful protests in Thessaloniki and other cities.